Colorful Trailer: Book of Life! Produced by Guillermo Del Toro (does the man never sleep? 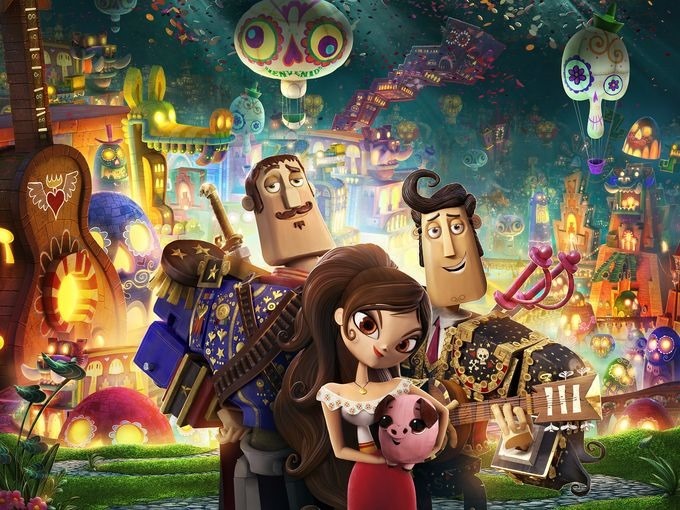 ), Jorge R. Gutierrez’s Book of Life is an animated film that takes us to places we’ve never been, visually. The story, about a young man named Manolo who must decide between fulfilling the expectations of his family and following his heart, premieres on October 17th. Check out the riotous new trailer following the jump. Previous PostCharming Trailer: The Second Best Exotic Marigold Hotel!Next PostVIZ Media Covers The Bases With Food Wars: Shokugeki No Soma and Spell of Desire!